Epistemology or sources of knowledge has always been problematic and contentious. This is not only with reference to the issue of hegemony, when the empowered tends to impose its ‘knowledge’ on the disempowered but also with reference to the political contamination of disciplinary quests and treatment of space, which often tends to distort knowledge itself. If this is the case then there is good reason to hold the view that the treatment of space, whether ‘land’ or ‘water’ or, for that matter, sources of knowledge, cannot remain apolitical. 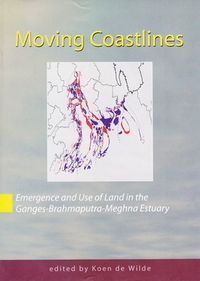 On the contrary, focus on ‘land’ is as political as the focus on ‘water.’ Epistemology otherwise is hardly devoid of politics: ‘whose perception,’ ‘whose reasoning’ or ‘whose testimony’ is as vital as the ‘hegemonic apparatus’ within which perception or testimony is reproduced. 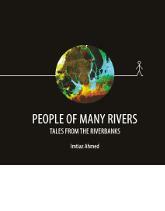 Tales from the riverbanks are no different. 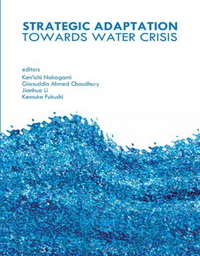 Indeed, a deliberate attempt has been made to focus on rivers and, at the same time, collect stories from those residing on the riverbanks, mainly to understand the intricate relationship between water and people and recover ‘lost’ or ‘hidden’ knowledge. In fact, ‘oral history’ tends to focus on groups of individuals who might otherwise have been ‘hidden from history,’ mainly to have a sense of the living experience and not a reconstructed one via secondary sources or through opinions of the out-of-place experts! 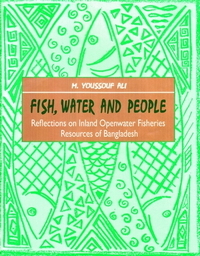 This helps not only to challenge the current ‘land-centric’ understanding of things, often a distorted form of knowledge when it comes to ‘water,’ but also to venture on the alternatives and see the possibilities of mitigating the dismal conditions faced by the riverbank dwellers and the people of many rivers of Bangladesh. The stories have been collected from ten unions, located in four districts, and from a cross-section of people all residing on the riverbanks. The four districts and the ten unions therein include Rajshahi (Char Ashariya Doho and Matikata), Pabna (Vaina, Satbaria, Nazirganj), Kurigram (Thetrai and Gunaigach) and Lalmonirhat (Rajpur, Khuniagach and Mohishkhocha). Half of the interviews were carried out with riverbank dwellers near the Indo-Bangladesh border, while the rest half were carried out far from the border, mainly to see variations in the stories. In many ways, stories from the riverbanks represent an intimate history of the people of many rivers, hoping that the shift in the gaze would provide us with a better understanding of the intricate relationship between water and people.